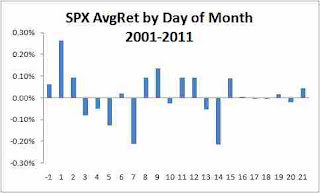 end of the month effect may be disproved but how about the middle of month effect (8th - 12th day). 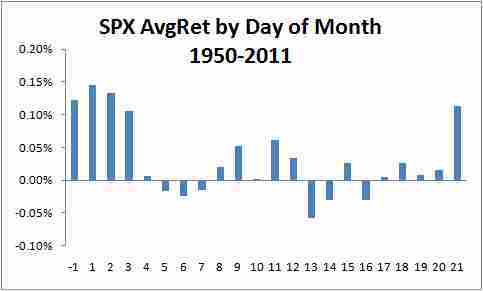 This "W" shaped phenomena is what MS writes about on marketsci blog, he puts a map of each month and includes other things like holidays and options expiration. Here is his current month "map"
I suspect ToM is not a "failed calendar effect". In last 60 years SP rose about 7% CAGR versus a CAGR close to zero in last decade.